NEW YORK (January 5, 2017) – In joining the National Organization on Disability (NOD) Corporate Leadership Council, prominent brands distinguish themselves as leaders in diversity and employers of choice for people with disabilities, while providing critical support for NOD’s mission to expand meaningful employment opportunities to the 20 million working aged Americans with disabilities. NOD President Carol Glazer is pleased to announce that 13 such companies joined the NOD Corporate Leadership Council in 2016, one of the largest classes of new members in NOD’s 35-year history. The Corporate Leadership Council provides an opportunity for national and global business leaders to learn from NOD’s experts and corporate peers about leading practices and common challenges in disability employment – and to be recognized for their commitment to disability inclusion. New members in 2016 joined at both the President’s Circle and Corporate Circle levels. 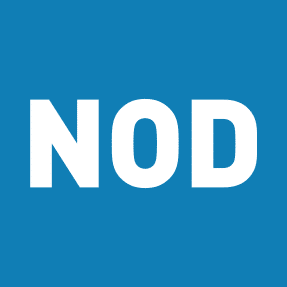 Learn more about joining the NOD Corporate Leadership Council or email council@NOD.org.